As a nonprofit organization, having a dedicated, active community of supporters and advocates is one of your most valuable assets. But how can you extend this engaged group of supports in order to establish and grow an online community as well? 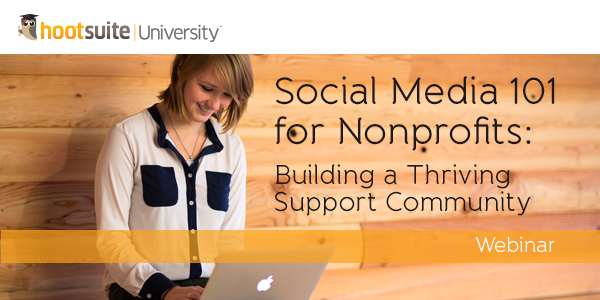 HootSuite University is pleased to present Social Media 101 for Nonprofits: Building a Thriving Support Community with Luke Summerfield, Director of Inbound Marketing at Savvy Panda and HootSuite Solution Partner. Since 2011, over 50, 000 success-minded social media professionals have obtained accredited training, education and certification from HootSuite University, and more than 50 thought leaders have been featured through our ongoing Lecture Series. 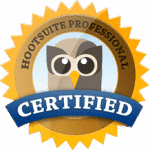 As an enrolled student, you’ll stay ahead of the social media curve by learning new strategies and tactics, and enhance your social ROI by earning HootSuite Certification. Learn more!